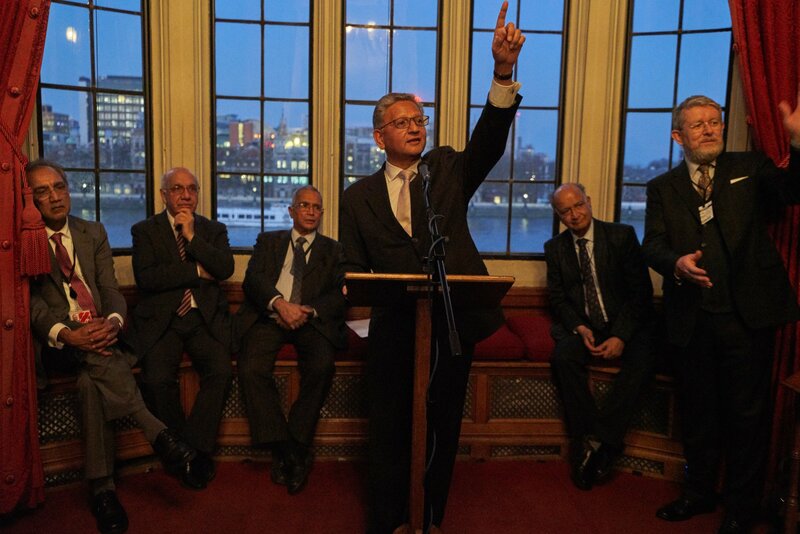 The Oxford Centre for Hindu Studies, the world’s leading Centre for Hindu Studies, celebrated its 20 years at the House of Lords at the River Room, hosted by Lord Dholakia. It was attended by invitees from Hindu Mandirs, organisations from up and down the country. Key guests included Lord Popat, Virendra Sharma, MP, Subhash Thakrar and CB Patel, Publisher/Editor of Asian Voice and Gujarat Samachar. People came from Ireland, Edinburgh, Swindon, Manchester, Birmingham, Leicester, Luton, London and many other cities. Lord Dholakia informed the audience of the value of OCHS which is a seat of academic studies with scholars and research capabilities. He highlighted the need to create a bridge between the Mandirs who support Hindu activities and the OCHS which enables knowledge building. He remarked about the poor representation of Hindus in the Parliament. There was a need for authentic independent representation of Hindu values in the British society. Subhash Thakrar, who had organised the event, noted and acknowledged the attendance by representatives of various Hindu Mandirs up and down the country. He praised the good work they all did for the community. He congratulated Shaunaka Rishi Das for leading and making OCHS successful over last 20 years. His message was that OCHS was extending its arm of friendship and encouraged the Mandirs to get involved with OCHS. This will add to the advancement of Hindu philosophy. There can be a programme of activity between the two. The OCHS is a leading seat of knowledge and study and supporting such a body would be in the interest of all Hindus. Representatives of three leading Mandirs who had already worked closely with OCHS over the past years spoke about the value created for them by OCHS. 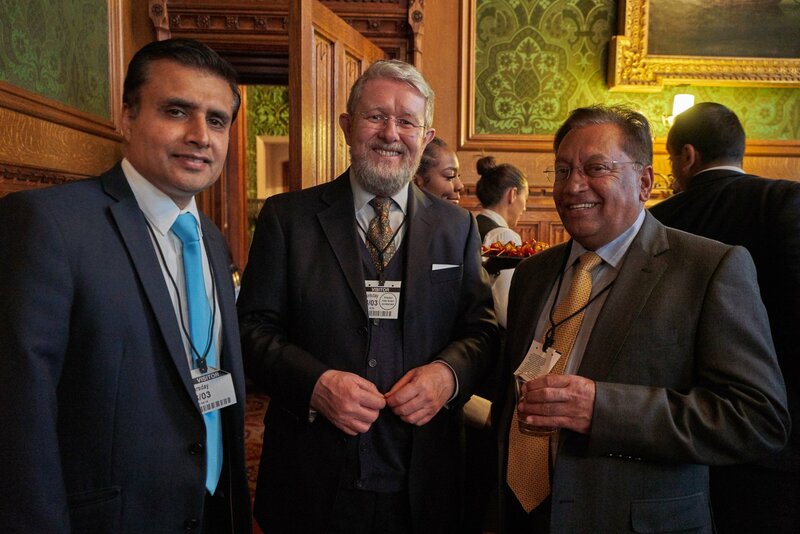 Anup Vyas, the Trustee of BAPS, the Neasden Mandir acknowledged the benefits of research and knowledge building whilst Satish Chatwani, Chair of Anoopam mission stressed the ability to nominate students for Hindu studies. Pramod Thakar, Chairman of Jalaram Mandir of Leicester highlighted the need to support OCHS and the benefits of OCHS for teaching Hindu Studies at the Leicester Mandir. The Director of OCHS, Shaunaka Rishi Das, expressed the desire for Mandirs and OCHS to be better connected. He said the board of governors is a secular group and that the Centre was respected respected globally. He said the Centre passed through 300 students and provides a lecture programme in Leicester and Birmingham with local Hindu groups. Two former students spoke about their experience with OCHS. It has an extensive library and various scholars around to guide and support with their studies. OCHS enables studying Hindu culture, society, philosophy, religion and language. It helps preserve India’s heritage. It welcomes thoughts and ideas from scholars from all over the World. These activities assist in helping the new emergent India that can project our own identity and values. OCHS has a very secular board of Governors including professionals, peers, academics, scholars and businessmen from UK and India. In its short history OCHS hosted 77 visiting fellows, 300 students, built a library of 30,000 titles, signed MOUs with institutions in India and globally, delivered 1500 lectures (400 are available online) and carried out World renowned research projects including Shakta Traditions, Bengali Vaishnavism, Archeology and Religion, Indian Philosophy, Bhagvata Purana, Goswami Project and Bhumi Project. OCHS has also established the Journal of Hindu Studies with Oxford University Press, jointly published two book series, produced 150 books by fellows and postgraduates and presented 280 research papers. OCHS now provides Oxford’s first Hindu Chaplaincy. Its research work has addressed topical subjects of Sustainable Energy Guidelines, Hindu Investment Guidelines, UN Observer Status, UN Climate Change negotiations, GreenFaith India Membership, and Eco Devi. -Establish a Think Tank to address concerns of Hindu communities and society in general-Provide Courses for Summer and weekend Schools- Provide Hindu Studies online- Carry out new research projects on relevant issues-Provide a neutral but well researched opinion to public and media based on Hindu values-Provide talks and lectures on selected topics.